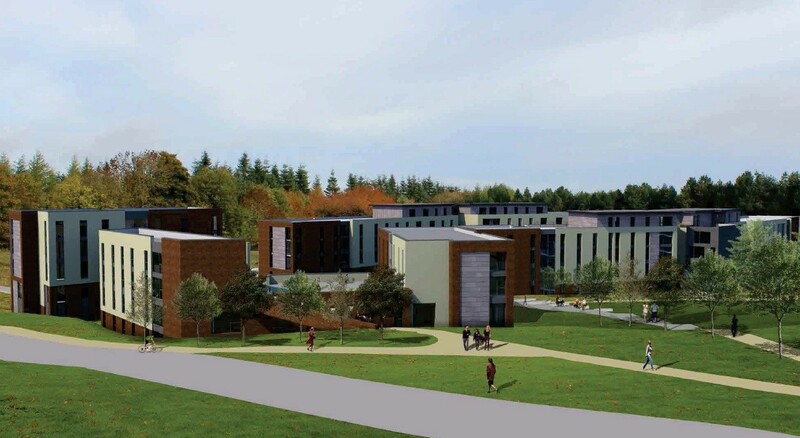 Welsh developer Watkin Jones has submitted plans for the creation of a 450 bed student housing development at Heriot Watt University’s Riccarton campus, following hot on the heels of the university’s Christina Miller halls of residence. 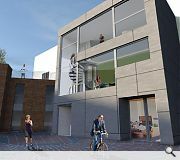 Designed by Fletcher Joseph architects the latest scheme seeks to impart a sense of place to the scattered estate of buildings by providing a high density solution whilst maintaining existing sightlines. 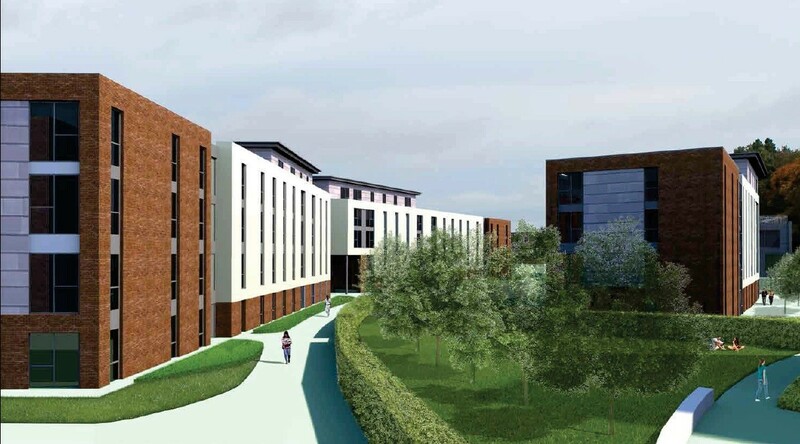 The new halls will be clad in a combination of brick, render and composite panels. 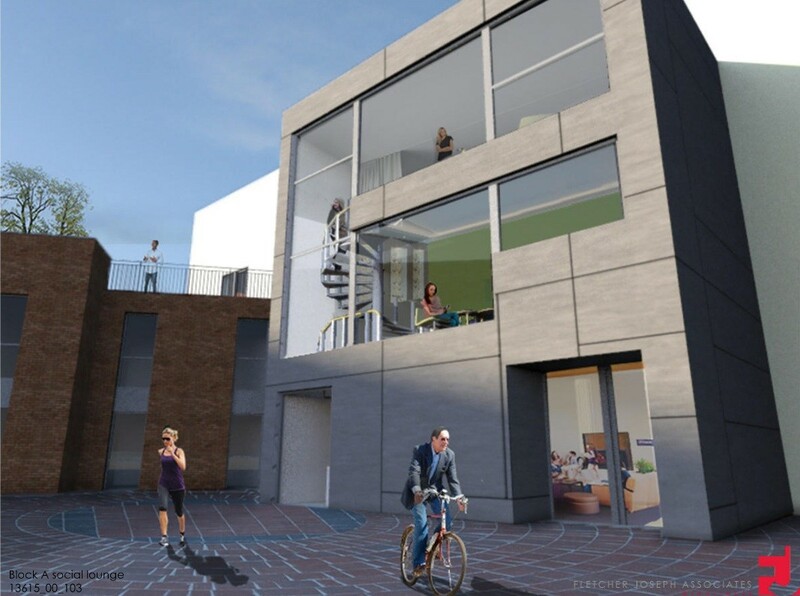 Subject to planning the scheme will move on site in January 2015 for completion by July 2016. 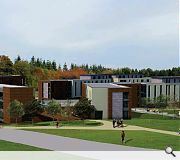 Wonderful work, The Heriot Watt students will sure be inspired by the glory of their accommodation and how it seamlessly reacts to the topography of the surrounding landscape! 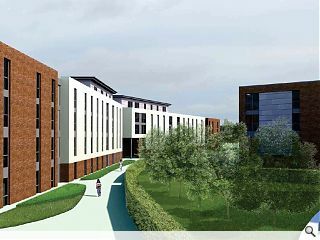 Right up there with Churchill and Robinson College.